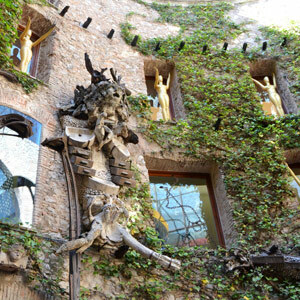 In the Catalan city of Figueres, there is a museum built in the name of the Surrealist artist Salvador Dalí (1904-1989) following the artist’s own plan for the site. It is of course one of several Dalí Museum’s in the world, but this one ought to rank high on your list if you were to visit them all. The museum is not just the conventional container showcasing art, the building and its interior and fixtures all combine into one piece of art. 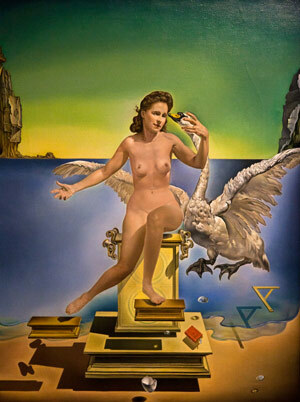 It explains why the Dalí Foundation prides itself on the museum being the world’s largest surrealist object, the swan song of the artist and the final resting place for the artist. Some 1500 artefacts are being showcased with a collection of paintings, sculptures, installations, drawings and photographs. 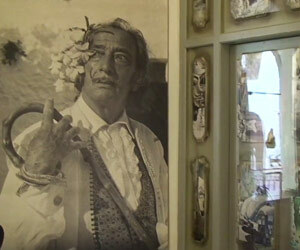 From the 70s onwards, Dalí devoted his entire attention to the project, taking part in every minute detail of the design. Among the art that Dalí created specifically for the art space is the optical illusion ‘the face of Mae West’, the Wind Palace, the Monument to Francesc Pujols, and the Rainy Cadillac in the courtyard. The site chosen for the project was the ruin of the municipal theatre as destroyed in a fire during the Spanish Civil War. A theatre was an apt choice for an artist who himself was a theatrical showman and self-publicist known for his crazy antics, and who worked like a demon and always exuded unbridled self confidence. What we have here is a wonderful museum where you are quite literally enveloped by the artist’s unique dream world. To put the latter into context, Salvador Domingo Felipe Jacinto Dalí i Domènech became quite smitten by an emerging art movement as a young artist. It was called Surrealism and for its age, it was a strange fantastical movement from Paris that explored the forbidden territory of our unconscious mind, which surfaced as involuntary bubbles all the time and in our dreams in particular. 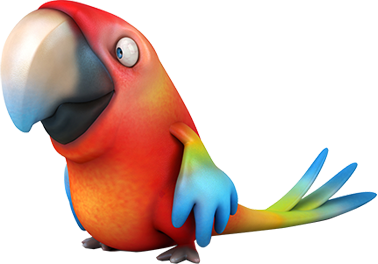 The Iberian peninsula has always given artists to the world who created art with a touch of mystery. 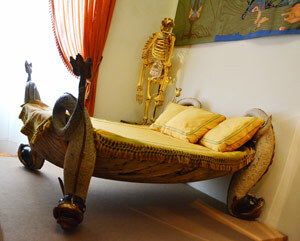 In that regard, the catalan Dalí was no exception. He incorporated his own mischievous humour in his art though it was never far from a darker more sinister side. His Dalinian flavour of surrealism was highly individual in the sense that he saw paranoia as an essential building block in our construction of reality. It led him to explore the inherent ambiguity in everything. For instance, looking at a rock or a cloud, could in a certain frame of mind make us see a face looking at us with a big pair of eyes. This is something the rest of us would associate with paranoid delusion, but to Dalí it was an eternal source of inspiration to his work. The collection here contains a few pieces of his own art. Now an artist’s own late-career collection is always fascinating, because it reveals much about an artist. Typically such collections contain works of other artists admired or befriended, and then some of the artist’s own work. At the tail-end of an artist’s career artists tend to hold back scraps of work falling into one of two categories. One is the the odds and sods that tells the tale of getting there as an artist. i.e. as sketch or a piece that was decisive for a new series of work, though not necessarily sellable art at the time. The other is works of art so precious to the artist that there had to be a particularly compelling reason for selling it. Viewed that way Dalí proves to have been a stereotypical artist, which means we find a good clue here as to who he was as a person. First of all the collection consist of art from lifelong friend and painter Antoni Pitxot, who also managed the museum after the artist’s death. Bouguereau, was also acquired because the now ridiculed academic painter was a master draftsman and Dali much liked good craft. Other artists featured are El Greco, Fortuny, Urgell, Meissonier, Duchamp, and Dou. 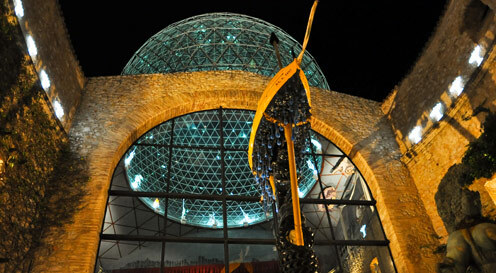 Inaugurated in 1974, the Dalí Theatre-Museum is highly recognisable with its red facade studded with virtual bread rolls,and its roof parapet of giant eggs. For the local population, the dome that crowns the building has become a symbol of the city Figueres. It is an impressive transparent dome consisting of reticular-shape cells forming a geodesic dome. The exposed brick and stonework from the ruin is cleverly used as an integral part of the large building complex, which also includes a weird and wonderful courtyard which if seen from above forms a mix between a boat hull and a crescent. Inside, and amongst other things, there is a rainy Cadillac which rains inside its cabin. The interior galleries contain many works from Salvador Dalí’s legacy including some surprising stereoscopic works and themed rooms. 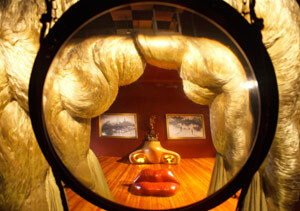 Since Salvador Dalí death in 1989, the museum has become the artist’s mausoleum. In the building there’s a crypt where he is buried. The surrounding area was remodelled in 1997 to exhibit Jewellery by the artist. Finally, inaugurated in 2001, the exhibit consists of the thirty-seven gold jewels from the former Owen Cheatham collection, plus two jewels made later and the prior designs made by the surreal artist. The museum is welcoming and admission fees are reasonable. During the tourist season, the museum is open many hours. In the month of August, the Dalí Theatre-Museum welcomes nighttime visitors with a glass of cava on the courtyard terrace and the venue is open between 10 pm and 1 am. Weather permitting it is accompanied with open-air film projections. Last admissions are half past midnight.